Sage CRM (also known as Accpac CRM in some markets) is a full-featured, web-based solution that automates sales, marketing, and customer service. Easy-to-use and quick to deploy in the cloud or on-premise. What I like best about Sage CRM is that it is so highly customizable, so we can add and change fields and layouts to fit our company's business model. We can even create new modules for custom tracking, and we can set security on multiple levels, from module access for a user to the ability for the user to see specific fields on a screen. My least favorite part about Sage CRM is the mobile app. You have to download data to your phone. The mobile browser site is better but may require some customization to see exactly what you want and how. Check out how easy it is to customize the system fields and layouts, as well as building marketing groups and data reports. Any CRM that you are looking at, ask the demonstrator to show you how easy it is to administer, and what kind of support you can expect after your implementation is complete. We use Sage CRM for sales and service tracking. It has helped up greatly improve our service response time and the ability to track and report on recurring or common issues. We also now have a solid sales pipeline that we can report and rely on. We are also now able to track and report on the training classes that we offer. "Clean Easy to Use CRM System"
I have recently begin using this CRM system and was able to get off the ground prior to having any training, such is the ease of use of the system - the console is well laid out and it's simple to navigate to the required areas of the platform, and back again. Group creation appears to be rather convoluted and cumbersome. I will undertake some further training in this area however from personal usage so far it does not seem straighforward. This is a fresh, easy to use, CRM system, that does all that I need without taking onerous amounts of time to learn/get to grips with. Easy management of customer contacts, organisations and opportunities. I can also view support tickets with ease and the information held here is plentiful and useful. It is also simple to pull off reports as necessary which saves me additional admin/typing out that I would have had to do previously. "Sage CRM - Many uses and benefits!" Sage CRM is easily customizable to suit any individual company's needs. Since we also use Sage 100c (version 2017) we enjoy a nearly seamless integration. I primarily use Sage CRM as a project and case tracking system as I work as support for our clients who use Sage 100 and other Sage products. Sage CRM functions just a little bit differently when you use it in Chrome than when you use it in Internet Explorer. You should definitely consider using Sage CRM, especially if you use Sage 100 or other Sage products. It integrates seamlessly. The integration between Sage products and the integration with Microsoft Outlook makes communication tracking easy. We are able to keep track of potential sales (prospects), current customers, track help cases associated with the products we sell and maintain, and deposit resolutions, agreements, and other documents all in one place. One of the biggest benefits we've gained by using Sage CRM is being able to leverage the integration with our Sage 100c system. One really cool feature is the Outlook add-in that allows us to keep track of appointments within Sage CRM and associate emails with customers and tie them to cases or projects as communications that allow us to review all the relevant information in one place. The strength of Sage is that it's quite customisable. We were able to adapt it to our business needs fairly easily. Once set-up the reports are easy to dowload and get (financial reports like sales done in the month), it is also easy to keep track of your pipeline. The support is great, they've always been super fast at getting back to me, faultless servive here. This program was useful to store client information such as addresses, notes, phone numbers. Create mailing campaigns and make pre constructed reports to track progress were also features that we used a lot. The documentation was easy to follow and picked up the crm quickly. Every time customer service was needed their support always helped solve the issue. The version I used would not allow me to run reports larger than 5k results but my company didn't want to upgrade from 7.1 because of how expensive our integration of Sage CRM was to connect to our SAP ERP system. I would recommend this software to a small business that is not very tech savy. Test it out and see what integrations would cost. In the settings it is easy to add fields and to create or remove custom fields/reports. with Sage it allowed me to improve our reporting by 25% this last year by deleting and adding personalized fields. "Legacy Platform. Powerful. Not friendly." I'm certain that I am to blame for not having the proper training on the robust power that a system like sage has, so I'll say that I like the name. Sage isn't a small company, and I'm sure they've got a great product, I just don't know how to use it. Workflow. When it comes to the fast paced generation of customers and businesses - I need a simple, easy to understand, and intuitive interface. Sage doesn't supply me with any of that. It's bulky. We have tons of synching issues from our Sage ERP 100 and I'm just not impressed. We do NOT get what we pay for, so we are hunting for some top notch training on Sage OR a new integrated system. There are better options for the money. I can easily learn more about benefits in order to solve our data problems, however, this software requires a lot of customization in order to make sense for me. I look forward to more training with Sage as this might help me understand more of the benefits. Frankly, it might make us stay with Sage. We will need to get a Marketing Automation program to sync with it, so message me for any recommendations. "Sage CRM - Great flexibility in features"
Sage CRM provides a wealth of features and customization tools, allowing flexibility in it's use. We've used it for lead tracking, prospecting, qualification and customer and case management. Therefore many different users touch it and make use of the product. The added benefit of this is being able to see a customer through their life cycle and have visibility at any stage. We definitely get our use out of it! Not many bad things to say here. If I had to chose something it would be picking what to utilize first from its many offerings. We implemented the tool to be able to get a holistic view of a customer and provide a central location for tracking prospect and customer information as many users will touch a customer along the way. The benefit of this is being able to select a lead, prospect or customer and "see" what's happening with them from all involved departments. Great sales and leads tool along with email intergration for tracking along with an area to manage Support for our products and track requests/issues. Also could be a bit more customizable for a Help Desk Support enviorment and reporting. "Easy to use and customize"
Because it is on a hosted server the communication back and forth can be slow at times. Customer Data organized in 1 place. Quick access to customer info. Data entry is very easy. Some of the versions which works with billing do take a huge amount of time when volume of entries are high over the years. "Very flexible but not easy enough for sales reps."
The system has almost unlimited options for fields and reporting. So if you want to customize they system for your specific industry or product line, it is quite capable. There are so many options and similar fields, the Sales Reps get confused and put information into the wrong fields. It takes quite a bit of training, which should be ongoing, since updates to the systems come out from time to time. Create as many pull down menus for easy selection of field options for sales. This way you can pull reports based on the standard entries into a field. Planning on the front end on which specific fields will be used for specific information is essential. And ongoing training for sales is necessary. Remember - Garbage In, Garbage Out! Better reporting and follow up on Sales leads. Also tracking the source of leads is very important to our marketing campaigns and trade show participation. "I could not live without it"
It is customized to our business/sales process. Helps us monitor corporate sales targets and individual sales people targets. Allows sales team easy access to accounting information to ensure credit policies are observed. Integrates to website for lead transition and initiation. "A simple and economic CRM for small business"
Use only if you're a small business and don't want much realtime trending information. We used Sage CRM to help grow customer/prospect information and track sales. Of course, you're CRM is only as good as the people who use it, and with oilfield that was a big problem. While Sage CRM provided a decent platform, it just didn't sync with MAS 90 like we wanted to really show trending and customer retention. Sage CRM is very easy to customize. One administrator can set up and manage the application quite easily. It isn't intuitive in most cases. one example is that you can have a company with multiple addresses and people with an address. the company is only searchable by the default address and the peoples addresses are not connected to the business either. In essence you can't have a store location anywhere. CRM and Team management. It is nice to be able to share things with a team and to create quality cases in CRM. As a User for nearly 10 years, it is a very easy to understand, use and also customise system with great flexibility. More importantly from our consultancy perspective, it can acts as a good blank canvas to extend ideas and use of CRM, for example, we have developed a Samples Management area for one client, so SAGE CRM enables you to think laterally and still allow Users to comprehend the overall system quickly and easily. This is a tough one really, since after 10 years you do get used to it. Possibly, and this is a strange one the name 'communications' for all the activities such as calls or phone call, emails. Personally, I think everyone understands the name Activities better, although of course, you could relabel this. "Seasoned CRM Expert with 10 Years Sage CRM Experience Reviews Version 7.3"
Sage CRM is highly flexible and very customization friendly in either it's on premise version or the cloud releases. The product has very deep feature sets that have been in the product for nearly two decades yet stays current with compliance on all browsers and mobile platforms. The calendar and formatting of the calendar for activity and task management are somewhat foreign to the way the most CRM interfaces work although Sage's native Exchange and Office 365 integration more than make up for some of the nuances in the calendar. One of the biggest things that we can say with the new versions of both Sage CRM and Sage CRM Cloud are to take a second look if you haven't seen Sage CRM in a while. There is a completely new UI for both versions and the mobile solutions have been optimized for a clean and easy user experience regardless of your chosen platform (Android, Windows Mobile, Apple). As an implementation partner we have done over 100 Sage CRM implementations and are addressing core marketing and sales efforts in addition to empowering customer service and field service teams. For many customers the ease of integration with back end ERP systems, including some of the pre-built integrations also help to eliminate duplication of efforts, provide workflow and mobility to extend those ERP systems to those on front lines dealing with customers. The robust technology also extends nicely on all mobile platforms and gives our customers that key ability of being able to work anytime or anywhere. "Sage CRM - Customizable and Complicated"
This software is HIGHLY customizable, which is useful for our company. Additionally, once you understand the infrastructure and memorize the hot keys, it can be very efficient and effective. HOWEVER, if you don't understand the nuances of the program (or don't have infinite patience), it can slow your workflow down exponentially. A lot of our team struggles with navigating the system, and its different modules- and the process to keep it updated and clean is complicated and tedious. DEFINITELY get involved in any and all training the software has to offer, and create your own "cheat sheet" templates to provide to new employees. The learning curve for this program is very steep. Additionally, make sure you maintain any process or template that you implement, because any change to the routine can negatively affect the whole system. I guess the business problems we're solving is the ability to manage almost every inventory process we have in our company on one core program as opposed to a mish mosh of several. Whether or not that is actually beneficial is currently up for debate. I personally like it but that's because I've spent three years perfecting my technique and becoming a power user of this system and all the different solutions it provides. "Worth a strong consideration. " User adoption is the secret to a fantastic CRM. Enabling a high level of customization and ease of access is crucial for many small to medium sized user bases to get into a rhythm of using CRM software. Sage's user interface is dead on, and does a great job of not overwhelming the screens, and allows the adding and removing of nearly every field displayed. Integration options for it's cloud based SageCRM.com product are limited compared to some of the other competitors. Run through the different versions and licensing option offered. The fruits of Customer Relationship Management are exponential to the input of data taken and the ability to use that data in ways that positively impact day to day routines. Sage CRM has all the tools needed to get there for most. "I have used Sage products for 20+ years"
I like that our customer database, order entry, payroll and shipping all integrate together. We still use Telemagic which is no longer supported and it is outdated. We have not transitioned to Sage cloud based, but we have been satisfied with what we have at this point. The integration between all of our programs is the best part. We have been able to use the same software brand for years. "New user - first impressions very functional. Not pretty." Data analyse that's possible and linking with Sage200 and other systems. It's appearance, and the 'cloud' version is not true cloud. Really get under the skin of it first, find out exactly what you need your CRM to do, where you want to access it, and how you want to access it. Sales lifecycle, forecasting and recording activities. "Best management tool for a complete customer lifecycle "
In my opinion, the finest feature Sage CRM has to offer is the customisability of the system. It can be used, either standard ‘out of the box’ or as a highly customisable solution that can be configured to any industry. It has provided us with a solid dependable foundation that we were able to easily build on ourselves, giving us a complete view of our customers and the ability to ensure high quality customer service is given at all times. There is nothing I dislike about Sage CRM, I found the product to be comeplete and robust; especially when integrated into our accouting system. Sage CRM will do everything that any other CRM system will, as well as integrating into your accounting system. It’s extremely easy to use and requires minimal training especially if you are only planning on using the 'out of the box' version. One of the business problems we have solved is keeping in regular contact with our customer base, prospects and suppliers never missing a sales opportunity and allowing our sales staff to work efficiently to maximize productivity. We are also now equipped to offer a superior support service with strict SLA's and notification system eliminating tedious excel work sheets; we now have a 98% client retention rate because of the 360 degree view of all customers allowing us to engage with them as and when they need us. "A great tool to keep track of customers and prospects"
The ease in looking up all clients and prospects. Sometimes seems a little bit cluttered - Could use an upgrade on the overall look. In my role, I mostly use Sage CRM to look up current or potential customers. It is also beneficial to add any new or delete any old information. We can also use it as a calendar tool that reminds us when we need to get in touch with customers or prospects. The benefits include improved efficiency throughout the office and a central hub to keep all customer and prospect information. "High Customized, Easy to Use, Wish it was mobile"
I like best about Sage CRM is how easy I find it to make conditions on groups and changing the layouts of these groups. It is then very easy for me to pull data into Excel. As well I like that these groups are constantly updated every time you enter into them. Though I have a highly customized version in terms of fields and tabs. I found customizing in Sage CRM to be pretty easy. I think the flow of Sage CRM makes sense. I also enjoy how Parent and Child tables can be joined in the groups. My main dislike, does not have a mobile aspect too it and is why my current company is looking to move to Salesforce. As well running queries on the back end does not always seem to make sense. I also think there should be a way to make global changes in a group which you have already created. As well I know there is a cloud based version of Sage CRM, but the reviews I have heard from other organizations are not promising. With the information inputted into Sage CRM I am able to complete internal and external reporting requirements. As well, it has allowed us project management and an excellent database of all current and potential clients with extra information. I have realized the benefit of this CRM in almost every daily task. I guess I like that it runs most of the time. I don't use it to do very much, as it's a sales tool for me. It's very slow most of the time, and not very intuitive at all. For example, I have to jump through hoops in order to write notes about a particular prospect the correct, so I almost always write notes on a different part of the lead screen. This makes it harder for other people to access the info later, but it's much easier for me when I need to do it. That's just one small example. It also kicks me and my colleagues offline randomly, sometimes for a few minutes and sometimes (though rarely), an hour or more. I don't know if this is typical for all CRM programs, but it annoys me all the same. Use Sage ACT! if it's still available. We're using Sage CRM to reach out to prospects who may be able to use our credit card processing services. I guess we've realized some benefits--I mean, it's not as if the program hasn't served a purpose. Sage is easy to use and "canned" reports are useful right from the start. Sometimes get "lost" in windows to find something so that if you had to find your way back to a particular spot in the future, it was impossible. Like drilling down to a transaction level. Use a 3rd party vendor such as SWK Technologies for support. It's much easier to get through to them and work with a consistent rep.
Financial reporting. Much more efficient than prior methods using spreadsheets. "Hard to use - quite clunky"
I like that I could quickly enter simply client data in and use it as an online rolodex. It was very clunky. We tried to use it for marketing campaigns with some other integrations (exact target) and felt as though things were still be entered/tracked manually. Weigh out other options before going with Sage CRM. We were trying to improve our sales pipeline with marketing efforts tracked/tied into the system. However, this proved to be quite the frustrating task at times. "Have used Saleslogix for 15 years Small Company 50 employees"
Saleslogix is very customizable with a built in architect form editor and crystal reports. There are also other addins for general ledger such as Eventix, which we have employed to handle invoicing and sales. The webclient and mobile client are a little too clunky and slow. The web client is much better than tha mobile client which could use some work on looks and ease of use. We use Saleslogix as a traditional CRM and also to do invoicing and export to our accounting software with Eventix add in. Sage works very well and is quite user friendly. Did not take long to learn how to use and gets the job done well. The version we use has some quirks but I believe its just because its a little older. Steps you have to take to post that seem unnecessary. Entering jobs, timecards, and billing information. The connection bewtten all communications, notes and people for each company. It is super easy to find information and to have an overview. I can honestly say there is nothing great about this product. May be the version we are on, but I would never recommend it to anyone. Reporting is clunky, it's not user-friendly, mobile app is non-existent. Promised features we never got during upgrades. We used as CRM for the 5 years I was here. We've now moved to SalesForce. "Sage CRM in a Medical Infusion business"
The ease with which you can customize the smallest of workflows in Sage CRM is truly inspiring. Our turn around times were fast and efficient keeping the Customer Relations and Sales teams extremely happy. The training Sage provided was in depth yet understandable to a novice. It took a little ramp up time to implement the system but it was well worth the effort. Sage was implemented as the primary CRM solution for all Medical Home Infusion based transactions. The organization utilized Sage for sales, procurement, provisioning, and scheduling. With all processes covered under one solutions out turn around times and quality of service has made a noticeable improvement. "Project managing the transition from Microsoft AX CRM"
Flexibility to easily customise features without the need for too much programming knowledge. No option to use a simple import tool to add product information when using CRM as stand alone option - available if using Sage 200 integration. The linkage between CRM and Accpac is it's best feature. The program was not intuitive and was prone to glitches and errors. Groups were a nightmare; it was extremely difficult to delete records and find the records you wanted to add. Can store files attached to certain contacts. 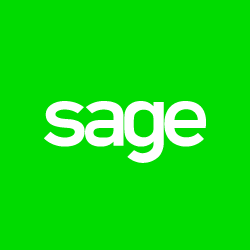 "Sage CRM and how it compares"
I like that you have all in one- customer service notes, accounting features. After using Salesforce and trying Sage CRM its more of a preference as oppossed to a dislike. "Sage CRM is extremely flexible, easy to configure and customize." Its flexibility and ease of customization. I really like everything it has to offer. It less expensive compare with other CRM. It's not as integrated as Salesforce. Many things should be entered into the system manually. I was using Sage to track and manage the whole sales process. The benefit is that I can sync my email communications with the CRM. Sage CRM's UI is light and easy to use. The dashboard is easy to configure with ad hoc custom reports or standardize reports with can be extremetly helpful. Good small and medium size campaign handling, ability to execute campaigns in waves. Needed new CRM tool to handle customer and campaign management with new lead efforts and product/sales implementations. "Sage has allowed our company to operate efficienctly with both offline and online features." The ability to use both offline and online with ease. Interface appears to outdated aesthetically. Ability to keep accurate records of financials, and maintaining all within a single system. It's ability to manage large amounts of client data. Sometimes seems over complex in areas, plus a steep learning curve. For medium to large businesses Sage CRM is definitely worth investigating. Manage and maintain client data. I liked the fact that it wasn't too bogged down with unnecessary functions. The color scheme sometimes made it difficult to read. The depth of functionality you need for whatever product data you're holding into Sage. I thought it was very useful for our account information, but sometimes felt like information could be difficult to find. We were using it to bridge gaps between customers, orders, and inventory. It was a great tool to help accomplish this goal. "ACT! is a great CRM tool. " Having a CRM that integrates with email is a very helpful tool. We were able to access our database and send emails to targets with ease. It's often tedious to get correct data in there when you have so many people using the database, so spending time to clean up the database is not fun. Reaching out to prospects, offering a multi-touch solution to follow up with prospects. Giving my sales team the support they need. Low cost and easy to navigate user interface. Not enough functionality out of the box and lack of social media tools. Easier to track opportunities and interactions including managing more deals at once and quicker cycles. Sage CRM platform is user friendly + module builder - Embedded email editor within its platform is an unique feature. Easy to manage client details and documentation as well as a competent ticketing system. Search functionality needs some work as it's not as intuative as it could be. "Used sage 100 and 300. 300 is good from all other, price is high but its worth it"
Its complicate but i like its availability and reliability. Price is high. And we cannot upgrade to 300c version. "Great for Support and Sales Tracking"
Very easy to customize. A business user with limited technical background can do a great deal of customization before a programmer needs to step in. With the help of a programmer, customization possibilities are virtually limitless. Some features don't work on Mac, most notably Mail Merge with Word. Presumably because Mac version of Word does not support this functionality. 2. Keep track of sales opportunities. It worked very well in both cases. Workflow customization is very valuable and easy to do. With support tickets, we were able to automate filing all communications (even the incoming ones) within the support case, giving us complete history. With sales opportunities, we customized it to an extent that it almost turned into a project management solution, so we continue tracking opportunities even after the sale was closed, all the way up to assigning resources and collecting payments. Ease of use, overall functionality, workflow options that are built in, strong marketing capabilties, great reports. I like that fact that it can be used as a hosted application and also a on-premise solution. needs more social media connections to the core product. Great CRM tool to better manage customer interactions and manage prospecting with potential new customers. * We monitor all Sage CRM reviews to prevent fraudulent reviews and keep review quality high. We do not post reviews by company employees or direct competitors. Validated reviews require the user to submit a screenshot of the product containing their user ID, in order to verify a user is an actual user of the product. Hi there! Are you looking to implement a solution like Sage CRM?